EEDAR CEO Greg Short says that despite the increase in digital distribution and downloadable content, retail will remain the dominant force for years to come. Do you buy your games from the store or do you buy them from digital distributors life Steam? There are advantages to both, so it's essentially a question of personal preference, but Short believes it will be a long time before the majority of gamers prefer downloads over boxed copies for their purchases. Speaking at GDC Europe, Short said that digital distribution was growing at an incredible rate, but that research showed that retailers and game packaging were the main source of customer awareness about downloadable content. He added that many consumers were still confused over the value of DLC, and that an upcoming EEDAR report suggested that 35% of gamers remained uninterested in paying for extra content. 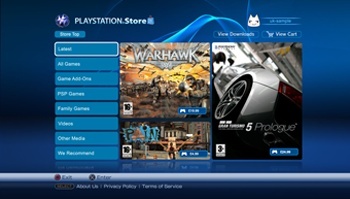 Short also said that current download speeds make downloading full games impractical. The average PS3 game, he said, would take five hours to download, based on the average internet speed in Europe, and that a game that used a full Blu-Ray disc could take up to 14 hours. As Short says, retail isn't going anywhere, not for a good long time anyway. There's a great deal of satisfaction in owning a physical product that you can hold in your hand and won't vanish if a server goes down or a hard drive blows up. Until attitudes and buying habits change, retail's place in the market is secure.